Vader also comes from a strong healthy heritage. 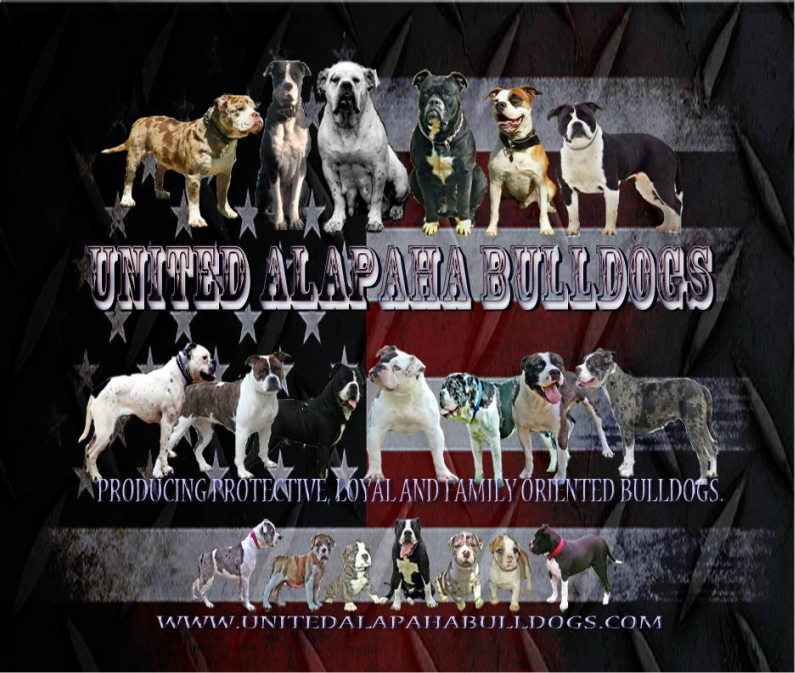 Half sister Bella Jade passed her OFA Hips at 3 years old with a GOOD, nephew Dillinger has the best PennHip of the breed, and littermate Hydra Jade also passed with a OFA good making them the first littermates to pass with a OFA rating of GOOD on hips at the time of the X-rays. Leia is 22” 63lbs and has one of the most correct conformation in our stock. She is also thoroughly Health Tested. Leia is a loving female with a mean prey drive. She can run for days and leap over anything in front of her. Her brother, UAB’S Prometheus’s Madness recent earned 4x BOB at the IABCA show in Ohio and BIS reserve rare breed. He also has an awesome PennHip of .43 .39. She is sired by UAB’S Boss who is a littermate if one of our premier females GR CH UAB’s Wicked Wicca Pearl that also is one of the healthiest females of the breed and has working titles to match. This breeding will produce supreme workable specimens of the breed as well have the conformation needed to become champions. These puppies will be ICHTHYOSIS/DM/NCL - CLEAR!